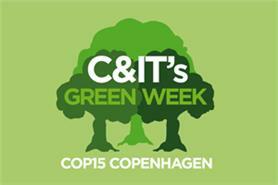 C&IT GREEN WEEK: Whitbread, the UK hotel and restaurant group, is aiming for a 26% cut in its carbon emissions by 2020. The company set out its ambition after being awarded the Carbon Trust Standard in recognition of its 4% improvement in carbon efficiency over the past two years. The achievement, which equates to saving 8,562 tonnes of CO2, came as part of Whitbread's 'Good Together' sustainability strategy. Whitbread chief executive Alan Parker said: "Committing to this carbon reduction target is a statement of our determination to drive down emissions and ensure that we operate as efficiently and sustainably as possible." In addition, Whitbread plans to open a purpose-built 'green hotel and restaurant' in Burgess Hill, West Sussex, in 2010, and wants 80% of its waste to be diverted from landfill by February 2010.